even with a small crew. Her sheets and halyards can all be operated easily using winches within reach of the helms-man, and sailing into the wind is child’s-play thanks to its self-tacking jib. Bow and stern thrusters ensure that putting in and casting off can be executed precisely and safely in just a few moves. 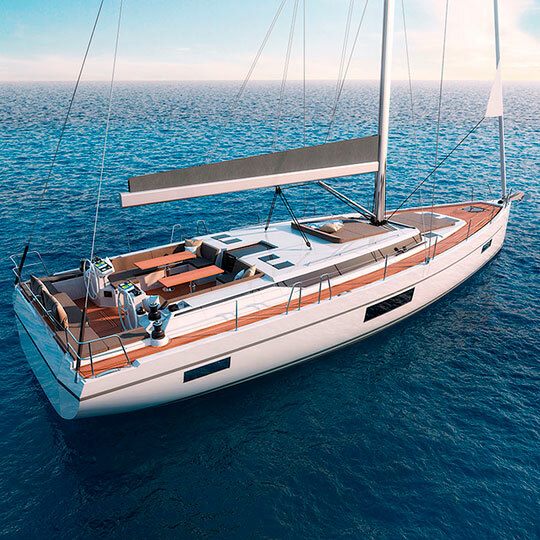 With an upwind sail area of 136 sqm, the Bavaria C57 promises pure sailing pleasure and can be kept on course with ease and at the touch of abutton. Downwind, the power comes from a 232 sqm gennaker, in order to realise the full performance potential of the hull. Crew and guests can enjoy a day’s sailing at the cockpit table, which can be lowered if desired, turning the cockpit into a lounge area. Two additional large relaxation areas can be found on the cockpit roof and on the bow. Two of the most important requests for the deck’s design of the Bavaria C57 were the comfort and privacy. A great attention has been paid to the ergonomics to give the opportunity to live the sea with the highest comfort, for this reason the working area has been located behind the steering wheels and the guest area in front of them: in this way the crew is able to maneuver without interferences and the guests are able to enjoy the navigation. 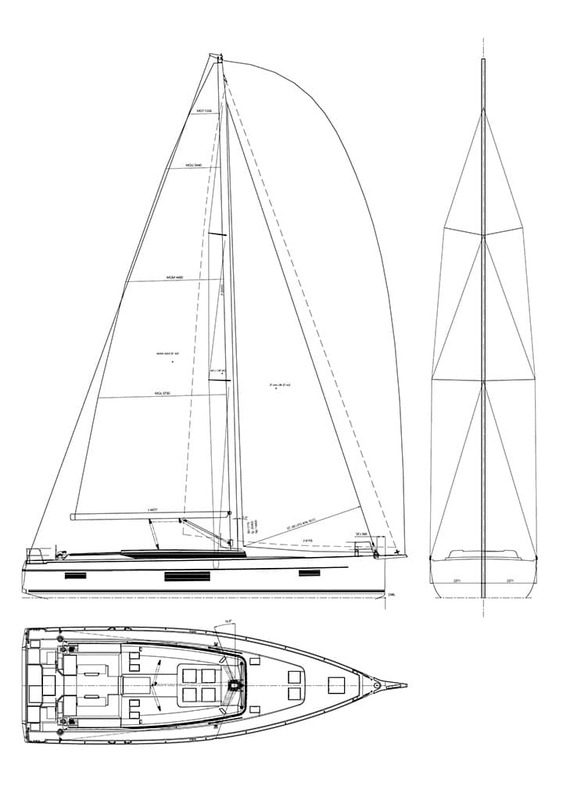 The wish list of the Bavaria product manager during the first meeting regarding the characteristics of the stern area of the new C57 was long enough to create a big headache for our designer, trying to image how to integrate all the features in the global design of the boat. On of the elements was the huge bathing platform, the challenge was to create an area that was an extension of the cockpit itself, a place where you can lay in the sun or let the children play. A second aspect is related to the dinghy garage, located at the stern of the boat. We work a lot on the design of this area, trying to use all the possible spaces to get a garage big enough to house a Williams Minijet Tender. Alternately, this place may be used to carry all the gear to enjoy the sea, such as scuba equipment, winsurfs or paddle boards. 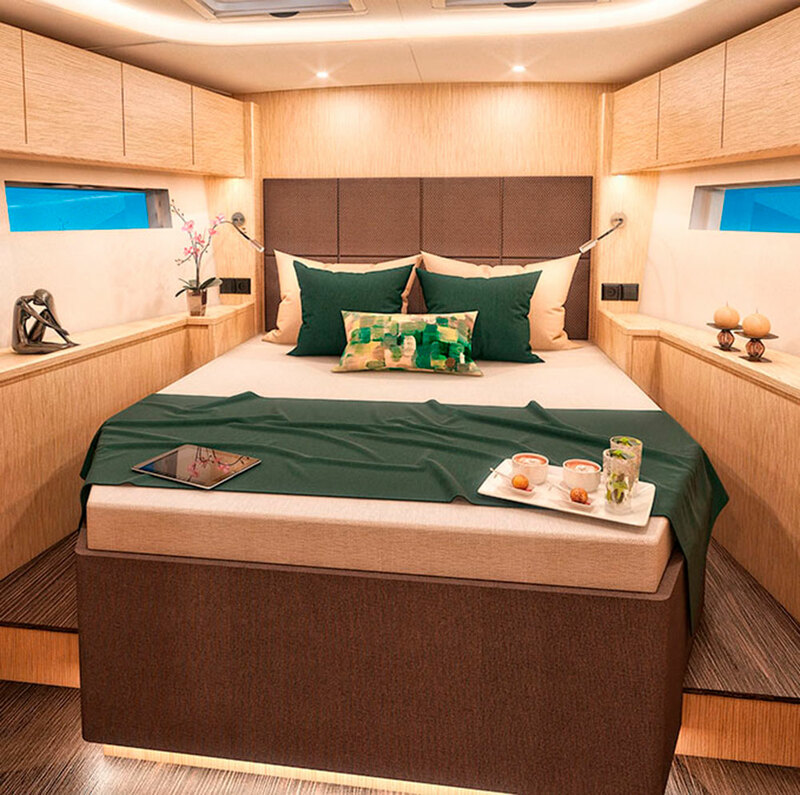 The design possibilities for the layout of the lower decks of the Bavaria C57 are endless. The 3-cabin is typically constructed with the owner’s cabin in the forecastle, and two guest cabins in the aft. 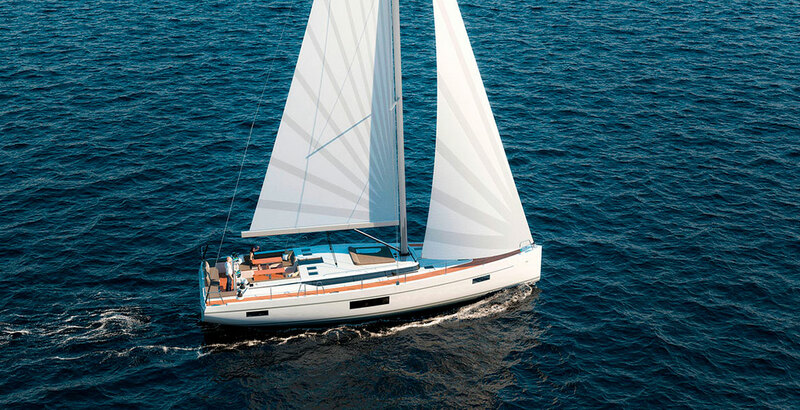 Bavaria offers two options for equipping the Bavaria C57 with four cabins. In the starboard between the lounge and the guest cabin, there is room for another cabin with bunk beds. Alternatively, this cabin can be turned into an additional bathroom, or a utility room with space for a washing machine and a tumble dryer. Nowadays one of the aspects to consider in the yacht interior and exterior designs is the hull and deck windows positioning, that significally contribute to the external design of the boat. small cabins, but they prefer to enjoy completely the sea show. How to give them wrong?